Will GM Rutherford listen to his captain like he has so many times in the past? The Pittsburgh Penguins are trying their best to focus on winning games and getting back on track, however, it's not always easy when rumours swirl around your best players. Phil Kessel's name made headlines this week because the Pens general manager Jim Rutherford reportedly tested the trade market for the winger, according to NHL insider Elliotte Friedman on Wednesday. Following the Penguins' 6-2 victory over the New York Islanders on Thursday night, captain Sidney Crosby addressed those rumors, possibly sending a message to his teammate and the rest of the dressing room. Kessel has surely been a clear winning factor for the Penguins amongst the rough patches. The veteran forward is on pace for a career-high 100 points after recording a personal-best 92 last season. Crosby is aware of his teammate's value, especially seeing that they skated on the same line during the club's win on Thursday. The two have rarely played together at 5-on-5, but they combined for seven points against the Isles. The fact that Crosby knows how dangerous Kessel can be might make Rutherford think twice about moving him elsewhere. Last month, the Pens GM candidly about possibly shaking up the roster if the team didn't improve. He made a couple deals, shipping out Carl Hagelin and Daniel Sprong in return for Tanner Pearson and Marcus Pettersson in two separate trades. This past summer, it was said that Kessel was open to playing for the Arizona Coyotes, where former Penguins assistant coach Rick Tocchet leads behind the bench. 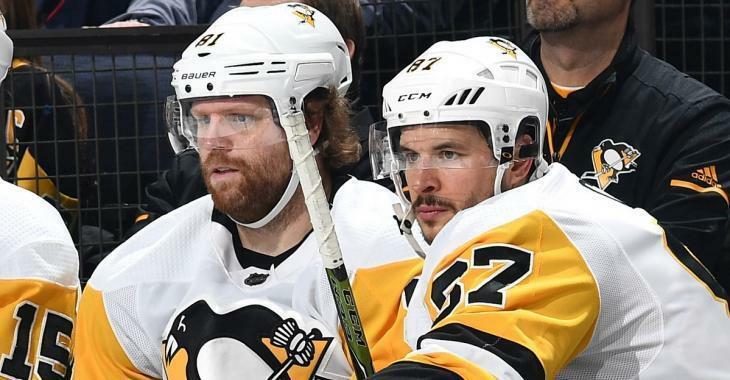 There was also a reported rift this summer between Kessel and Penguins head coach Mike Sullivan, however, the forward seems focused on racking up the points. After going down to its basement, Pittsburgh now sits third in the Metropolitan Division. Will GM Rutherford listen to his captain like he has so many times in the past and stop adding fuel to the fire when it comes to Kessel? We will see, however, for now, the winger is making a great case for keeping him in Pittsburgh - and it sure sounds like he has his captain's support.